Details: This calculator makes fining trial and subsequent fining addition calculations quick and simple. After performing fining trials and deciding on an addition level, fill in all details and the volume of fining agent required will be calculated. Be sure to check all units, the ones used here have been chosen for convenience in the majority of situations. This is an accurate calculation as the volume being divided by is the volume of wine AND the volume of the addition. This is often overlooked in calculations such as these, especially when performing them by hand. It is an important point to make, calculations from this equation will differ from quick calculations by hand. 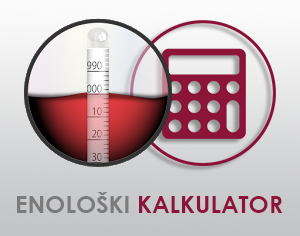 The next calculation is to find how much of a solution of a specified concentration must be added to bring the concentration of the juice/wine to a desired concentration, this is discussed in the 'Additions in Solution' section.